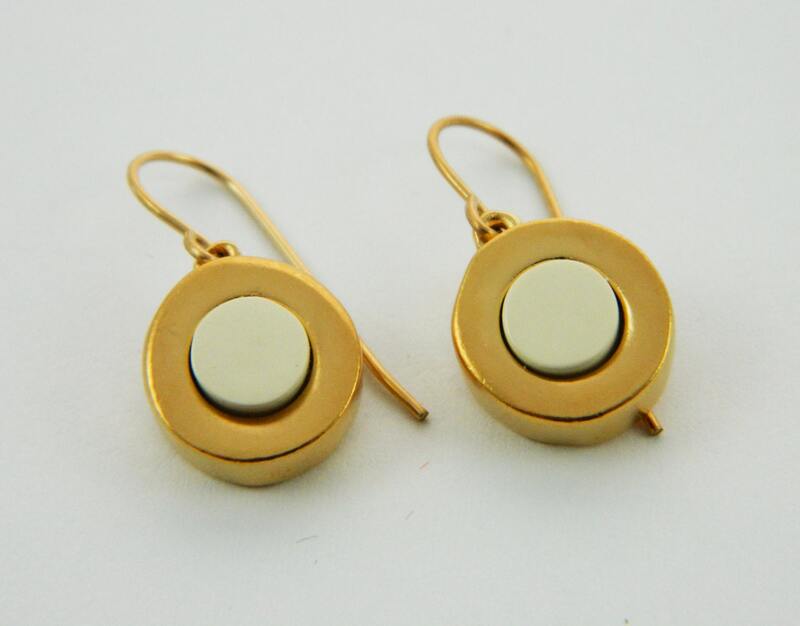 Gold and Cream Dot Earrings. 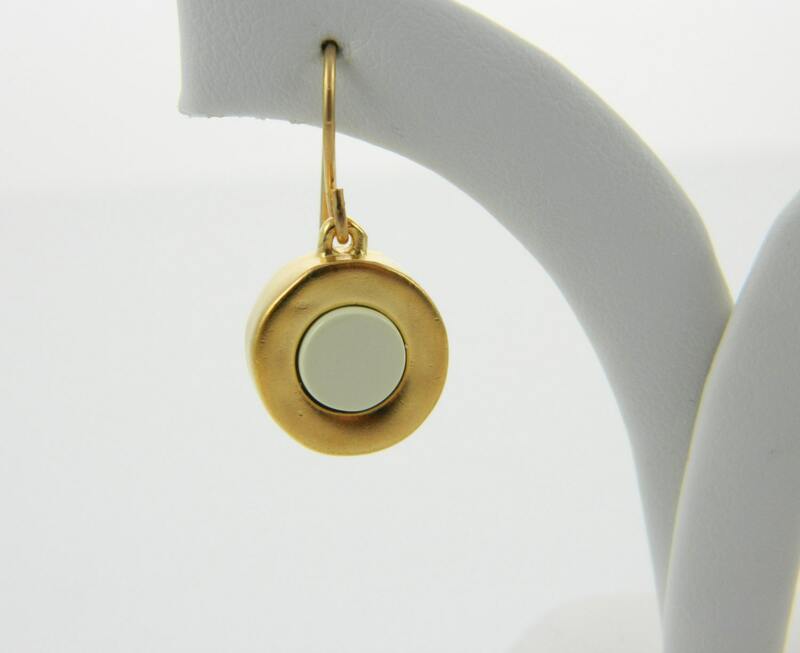 Gold Plated Brass and Lucite Mod Earrings. 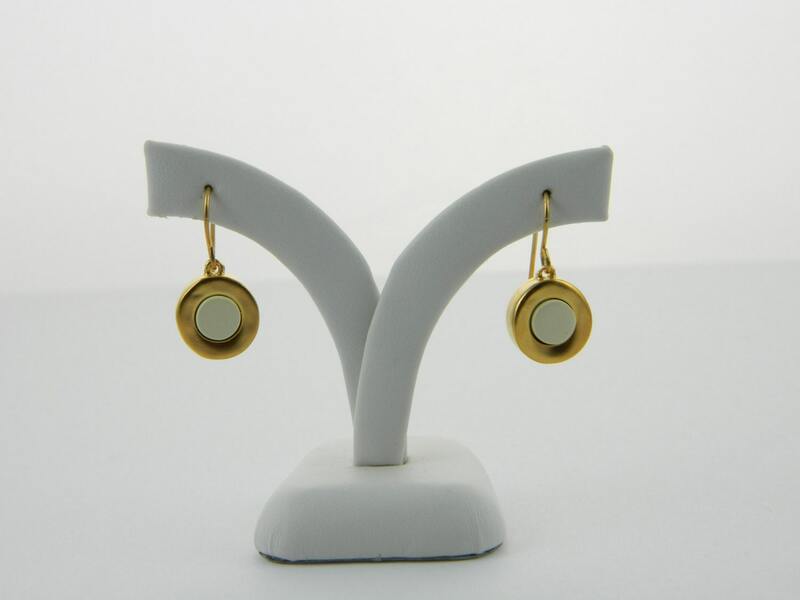 Material: Gold plated brass and Lucite.